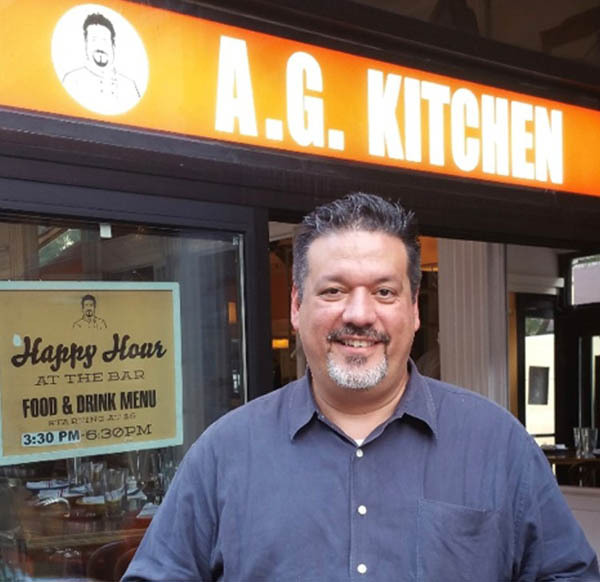 Celebrity chef Alex Garcia does more than prepare the masterfully crafted recipes at popular New York City restaurant, A.G. Kitchen located at 296 Columbus Avenue between 72nd and 73rd streets. The Nuevo Latino comfort cuisines are a true reflection of his personality and, namely, influenced by his Cuban heritage. Specifically, the Cubano Sandwich, which has earned its deserved title as the best in NYC after Alex Garcia and partner Chef Douglas Rodrigues introduced it in the nineties. The Cubano Sandwich is a pressed pork and ham panini layered with pickles, Swiss cheese and mustard. 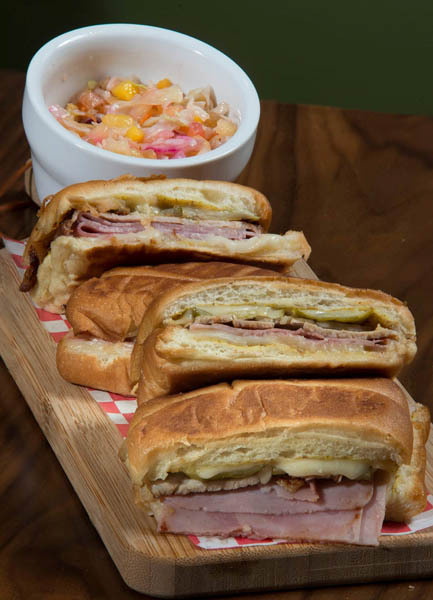 Alex Garcia has perfected this delicacy by replacing the traditional Cuban bread with a sweeter, egg-based bread which lends to the flavor of the Cubano Sandwich. After topping each half of the bread with the flavorful ingredients, Garcia grills the sandwich halves facedown to warm the meat and the inside of the bread. Next, both halves are joined together, and each side of the sandwich is then grilled to add a toasty crunch. Despite the name, the Cubano Sandwich actually originated in Tampa, Florida in the 1900s where it was the preferred meal amongst Cuban immigrant field workers. Today, the toasted sandwich has gained popularity in New York thanks to Alex Garcia and Douglas Rodriguez. They work together to expand the influence of Latin culture and cuisine throughout the United States. Now that the U.S. has restored its relationship with Cuba, and as interest in Cuban culture grows, this is sure to be accomplished sooner than later. A neighborhood favorite since it opened in summer 2012, A. G. Kitchen offers a tantalizing blend of Latin American and American cuisine. Located on the Upper West Side, with a brand-new outpost in Silver Spring, MD., A.G. Kitchen, named for the initials of famed Food Network Personality, Cookbook Author and Chef Alex Garcia, is comfort cuisine fused with a modern twist. Renowned for its varieties of made-to-order guacamole (Classic, Pineapple and Pomegranate, and Papaya and Mint), plus entrees such as the Brazilian-style Samba Chicken, Manhattan Latin burger, Surf ‘n’ Turf and Seafood Paella (lobster, shrimp, clams, mussels, chicken, chorizo with saffron rice and calamari salad) as well as the city’s most authentic tasting Cubano sandwich. Another establishment highlight is the 100-year-old mahogany bar, the perfect perch for enjoying specialty cocktails like the Mango Mayhem (Mango/Lime/Chili Pepper-infused vodka, passion fruit juice, and fresh lime) or the Cilantro Daiquiri.